Qlik allows Quooker to visualize their supply chain from start to finish. Quooker was conceived in the late 1970s when Henri Peteri was working on the development of instant soup for an international food company. He realized that soup would never be ‘instant’ without boiling water on tap. From that moment on he was captivated by this idea and started developing a tap that instantly dispenses boiling water. Quooker currently has over 11,000 square meters of company space, where approximately 200 employees work on the development, production and marketing of Quooker products. Quooker was conceived in the late 1970s when Henri Peteri was working on the development of instant soup for an international food company. He realized that soup would never be ‘instant’ without boiling water on tap. From that moment on he was captivated by this idea and started developing a tap that instantly dispenses boiling water. 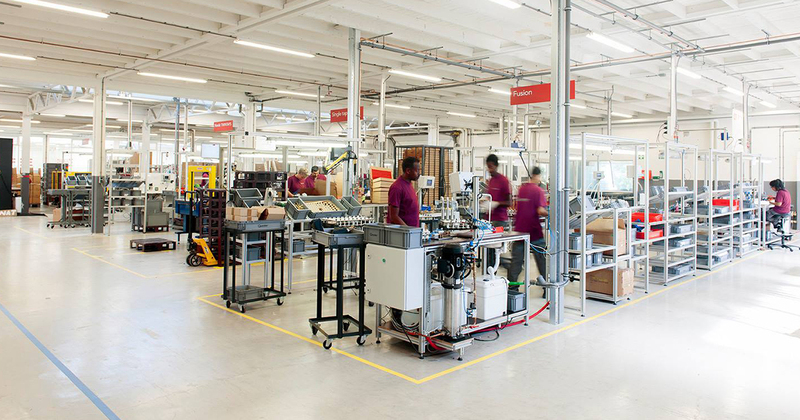 Quooker currently has over 11,000 square meters of company space, where approximately 200 employees work on the development, production and marketing of Quooker products. As the company grew, new challenges arose, and automation of reporting and analysis was required for HR, procurement, logistics, production, supply chain, quality assurance and sales following Exact software implementation. Better management and control of financial and logistic processes became necessary to facilitate continued growth. Quooker chose Qlik because they needed a visual analytics platform that could easily and quickly produce data visualizations and analyses to provide insight into every aspect of the company. After deployment, Qlik was fully operational within eight working days, and immediately began helping mitigate risks across the company’s entire supply chain, resulting in cost savings and increased customer satisfaction. ‘’We have calculated that since we are in better control of our entire supply chain flow, we save at least € 50.000 per year by preventing to outdated parts, production stops, delivery stops or quality issues,’’ says Geertjan Woltjes, COO at Quooker. Without insights from the trend analyses, Quooker would face the threat of inventory issues for one or more of its products, which would negatively impact revenue, as well as the company’s reputation for always being able to deliver from stock. Want to hear Quooker tell their story in-person? Join us on the Qlik Sense Tour this summer, we will be hitting the road from May 22 - July 14 in 32 countries!